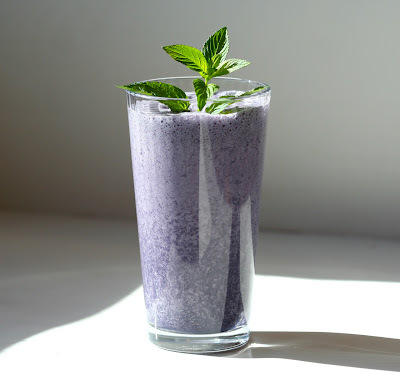 I have an on-line friend from California who contributes regularly to the recipes and cooking forums over at Gardenbuddies.com. This year she has started her own fantastic blog where she shares her little piece of heaven in California. If you haven’t seen Jain’s Once in a Blue Moon, you MUST. 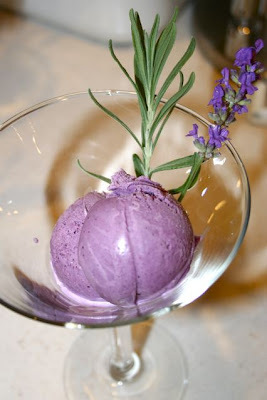 Last year on Gardenbuddies she shared a recipe for ice cream made from fresh lavender and blueberries. Can I say, this recipe is truly divine? The perfect ending for my Divine Dining dinner. Another Gardenbuddies contributor, Mary, has posted her recipe on her outstanding blog, Once Upon a Plate. You can find all the recipe details there. I only made slight changes. 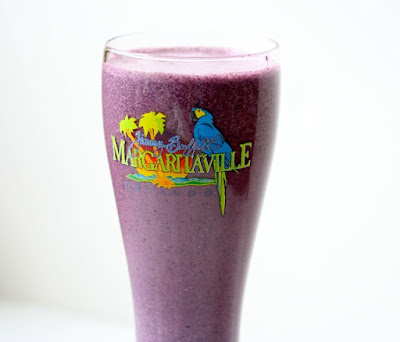 It starts with 1 cup of blueberries. 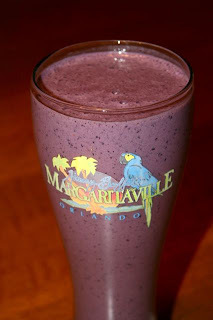 I used frozen blueberries. Fresh or frozen, it doesn’t really matter. They are both excellent. 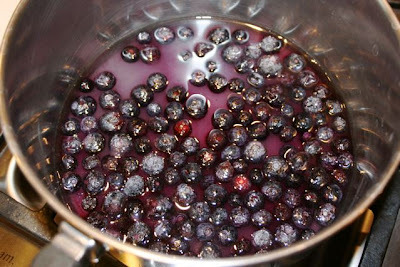 These are cooked with sugar and just a bit of water until the blueberries begin to pop open. 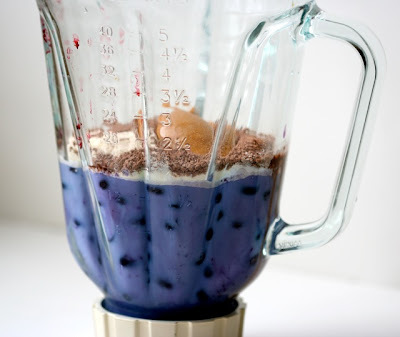 Once the blueberries have broken down I pureed them in a blender and strained it using a fine sieve. 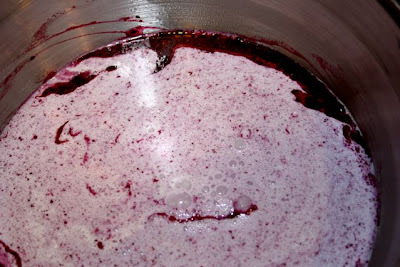 The blueberry liquid was returned to the sauce pan. 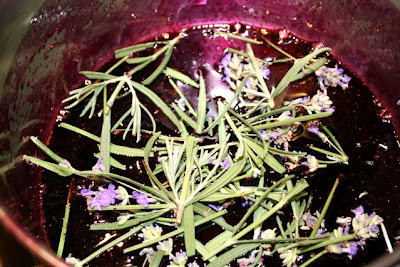 Recipes call for just the flowers but I didn’t have enough flowers in my garden so I just chucked in lavender leaves as well. 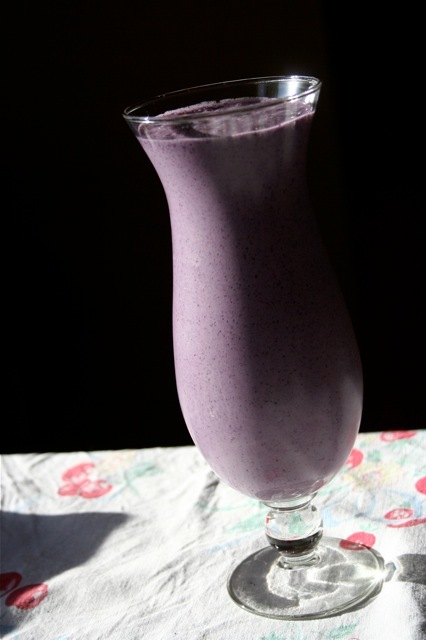 This was cooked gently for a few minutes ton infuse the lavender flavor into the blueberry syrup. 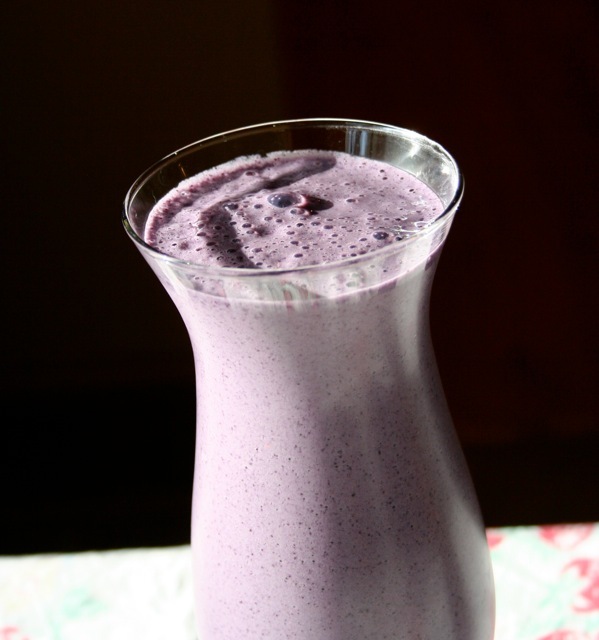 This was strained once again and vanilla and cinnamon were added. 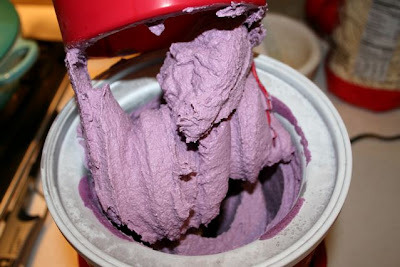 Once the blueberry syrup was well chilled, half and half was added and the mixture was frozen in the ice cream maker.